you can wear it around you neck or clip it on your key chain. 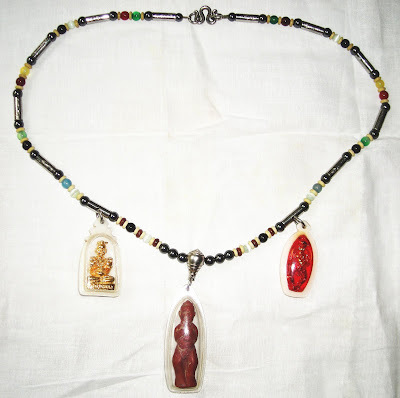 When you want to ask for Lottery Numbers to bet on, You simply take the Kumantong Amulet out from your neck or from your key chain and apply the "Kumantong with Pendulum Method". 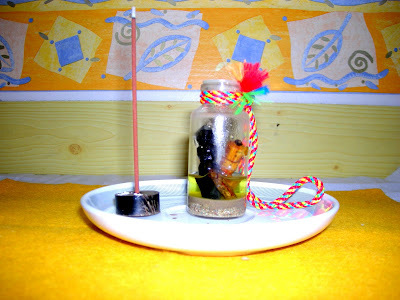 You can put it inside your bag, pouch or find a corner of your room or living room and set up a small altar for it or if you already have a praying corner or altar, you can also place it there. you shall create an altar for it. 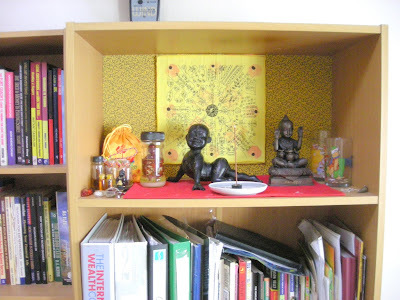 You can clear the Top of the Bookshelf and create an altar for your Kumantong, like what I do. 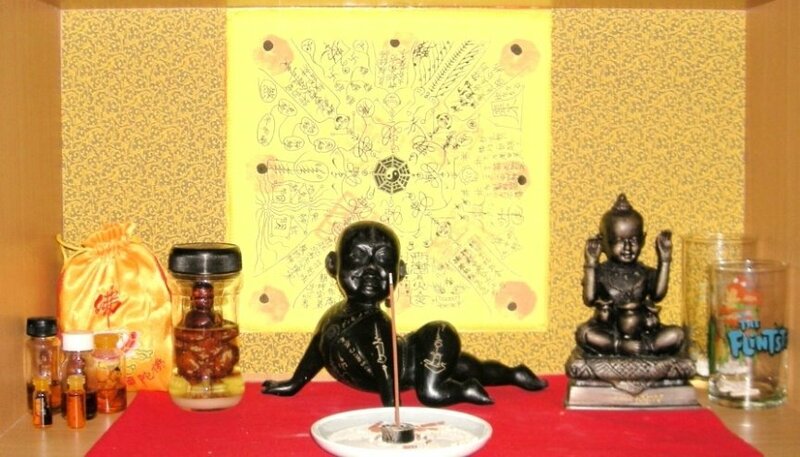 You are also allowed to place it at a corner inside your bedroom and create an altar there, since Kumantong is a low level deity. 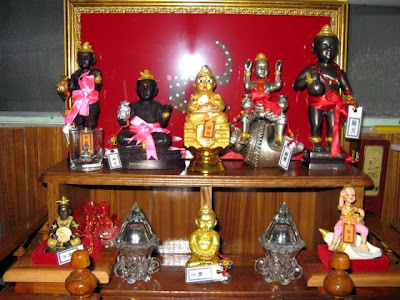 If there is no objection from your family members and you are not hiding the fact that you are keeping something which may freak them out if they happen to view it, you can also create an altar in the living room. There is no strict rule to follow in creating and decorating the altar. Most important is you feel peaceful facing the altar you created. 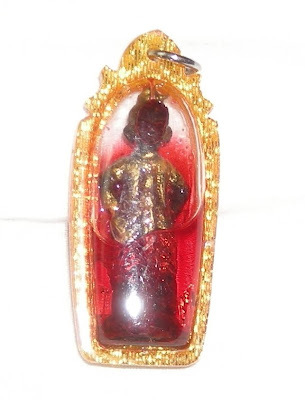 In case you have Buddha Statue or any other Statues of deities of any faith of yours, make sure your Kumantong is placed lower than them. If not, create another Altar just for placing your Kumantong Statue. 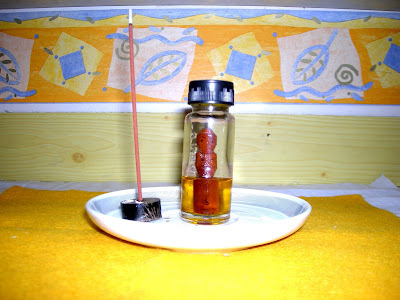 You may use joss sticks or aroma therapy type of incense sticks for your prayer or when you are seeking 4D Numbers from Kumantong. You can also offer your Kumantong with flowers , candies, milk, colored drinks when you feel like doing. Take note that praying with joss sticks and offerings are not mandatory. Some Know-it-All go around proclaiming offering must be done to your Kumantong on everyday basis which is crap. Even if you just put your Kumantong Statue on a shelf as if Thai artifact on display with no burning of incense and no offerings done, the spiritual entity is and always is residing in the Statue, which will still look after your house, bring you fortune and prosperity and take good care of you and family members , such as warding off evil spirits and black magic. The knowledge I share above is only applicable to the type of Holy Version Kumantongs I am bringing into your life, which are Fortune Bringing type. I've no knowledge and therefore no rights to comment on or give suggestions if are keeping or intend to keep other type of Baby Spirits such as Gui-Kia, Toyol, Anak Kerak.